Sally Piefer is a shareholder in the Milwaukee law firm of Lindner & Marsack, S.C. Sally received her undergraduate degree in business with a law emphasis from the University of Wisconsin-Whitewater. She received her law degree from Marquette University Law School. During law school, Sally also clerked for the U.S. Equal Employment Opportunity Commission. 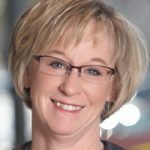 Sally has extensive experience representing employers in a variety of employment matters, with special emphasis in employment litigation, employment counseling and compliance issues and employee/supervisor training. Sally’s litigation practice has involved representing and defending employers in employment discrimination, wage and hour, and FMLA and ADA claims. She also spends a significant portion of her time assisting employers in drafting and evaluating noncompete agreements and working with clients, when necessary, to litigate the enforceability of such agreements, along with employee duty of loyalty and breach of confidentiality/trade secret claims. Sally sits on the board of directors for Feeding America Eastern Wisconsin. Sally has been recognized by the Wisconsin Law Journal’s “Women in the Law“ and by the Waukesha County Community Foundation’s “Women of Distinction.” In her free time, Sally enjoys attending Packer games and traveling – especially to California’s wine country.